The latest global climate summary for August was released earlier this week. 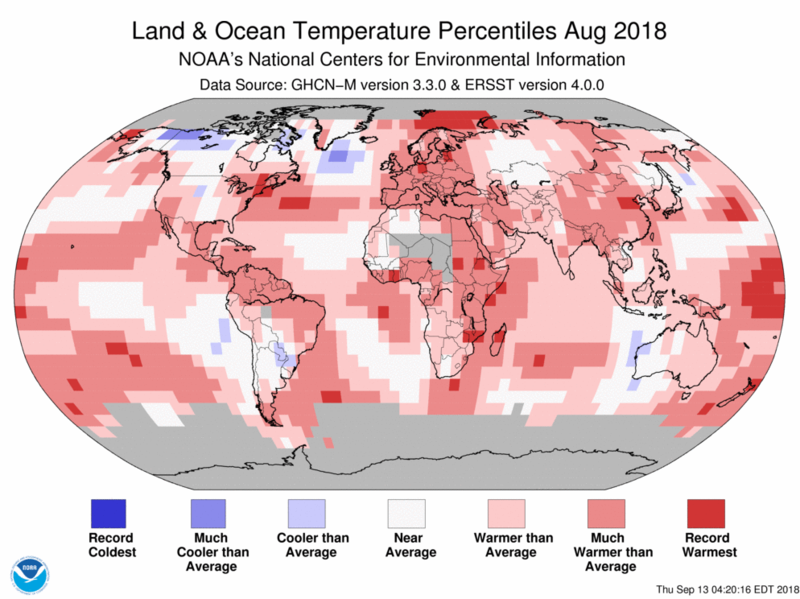 The report shows that for the earth as a whole, it was the 5th warmest August in the 1880-2018 period. 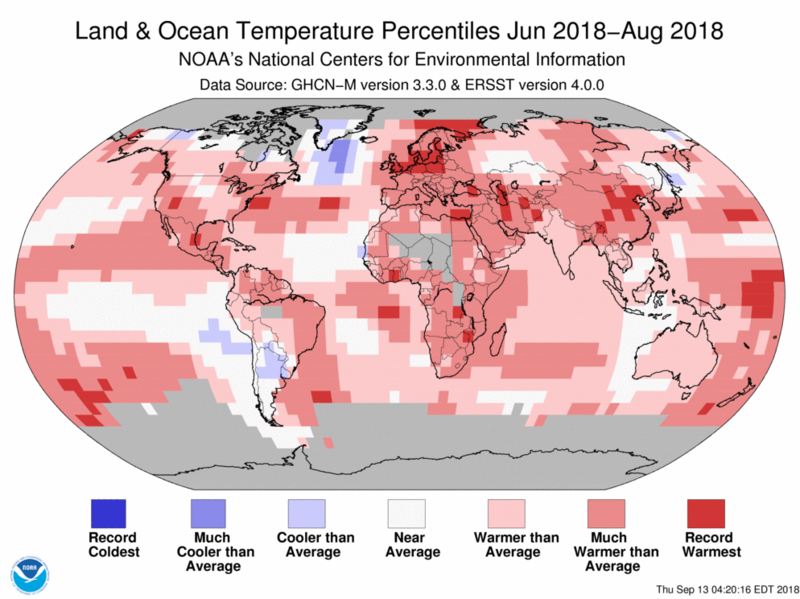 For the summer period of June through August, it was also the 5th warmest on record, and the year to date is the 4th warmest on record. 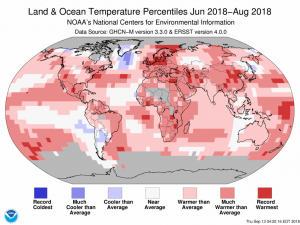 You can read more at https://www.ncei.noaa.gov/news/global-climate-201808.